Most people would associate Dubai with expensive hotels and holidays. 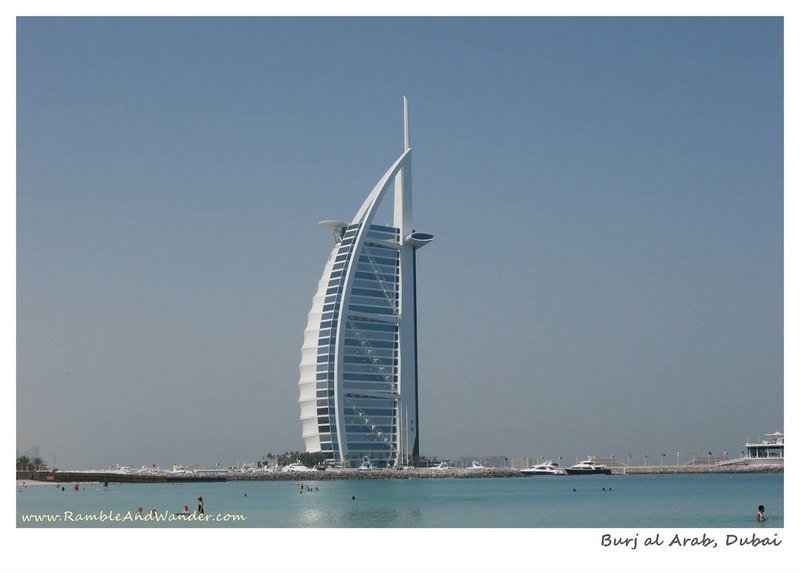 They would readily list down Burj al Arab (photo above), Armani Hotel and Atlantis Hotel among others as an example. 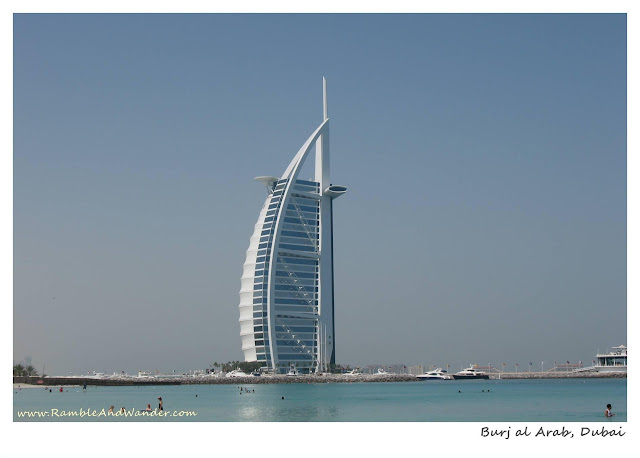 There are of course many luxurious and expensive hotels in Dubai. But there are also a few relatively cheap hotels that won’t require you breaking the bank. The following are three hotels that I would personally recommend for a budget holiday in Dubai, based on their room rate (below USD70 nett), hotel and room conditions based on reasonable expectation, location and easy access to other areas and places of interests. If you have stayed at an Ibis Hotel anywhere in the world, then you would know what to expect. The hotels are almost the same everywhere you go. They are nice and functional but some might find the rooms to be a bit small to their liking. If you’re looking just for a place to stay at night, then it should be okay. If you’re however looking for something fancy, this is not your hotel. All these three Ibis Hotels are located in different parts of Dubai but they are all near to a metro station. Ibis Mall of the Emirates is situated across the road from Mall of the Emirates in the newer part of Dubai whereas Ibis Deira City Centre is close to Deira City Centre Mall in the old Dubai. Ibis World Trade Centre is located between the locations of the other two hotels and is closer to the newer business district including Dubai International Financial Centre & Business Bay. Any one of these hotels are okay, depending on which area of Dubai you'd like to stay in but I tend to recommend Ibis Mall of the Emirates. I have previously booked rooms for family and friends at Ibis Mall of the Emirates for just around AED250 (~ USD68) nett per night for a room for 2, excluding breakfast. Cassells Hotel is located in Al Barsha 1, Dubai, about 100m or less from Sharaf DG Metro Station, and about 5 - 10 minutes’ walk to Mall of the Emirates. The rooms are spacious, nice, and much better than Ibis Hotels, but again, nothing fancy. There are also plenty of shops and small restaurants around the area. I have previously booked rooms for family and friends to stay here for just over AED198 (~ USD54) nett per night for a room for 2, including breakfast. Currently there are two Citymax Hotels in Dubai, one in Bur Dubai area while another one is in Al Barsha 1 area, almost across the road from Mall of the Emirates. The one in Bur Dubai is supposed to be nicer but the one in Al Barsha 1 is in a better location. Rooms are quite nice but their rates tend to be higher than the other two hotels above. Tips: October to February is high season in Dubai due to better and nicer weather while June to September is considered as low season due to high temperatures of above 40 degrees Celcius. Footnote: Room rates obviously fluctuate and may differ from day to day and from one season to another. One may therefore find a higher or cheaper rate at the above hotels, or at any other hotels for that matter. The above are therefore just a recommendation and the rates given are just an example of the rates that you might be able to get. John, yup, compared to KL, the rates are still relatively expensive. There are very few hostels here and they are located a bit out of the way so you most likely have to take a taxi to go anywhere from there. Dekat rumah tak ada couch. Malang tak dapat landlord yg baik hati like yours, haha! owhh i see. i thought there's no hostel at all in dubai. i guess i was wrong. yela, most of the tourist who visited dubai were richfag. hahah if the cost of taxi plus minus the same as the hotel mentioned above, i guess better stay at these hotels. reducinng the travel time from 1 point to 1 point. Yup, all things considered, better to stay at any of these hotels. There's a minimum taxi fare here in Dubai, which is AED10 (~USD2.70). That can easily add up to the cost especially if you're travelling on your own and can't split the cost with your friends. I was like... IBLIS??? What da heck??? Ooooo.... IBIS, bukan IBLIS.... ralat mata memandang... Hope to be here one day. amboi..bajet dia pun mahei jugak kan..
Sila kumpul. Lagi berbaloi kalau datang sini untuk singgah ketika dalam perjalanan ke Eropah, Afrika ataupun Amerika. Dari KL, boleh pilih untuk naik Emirates ataupun Etihad. Biasanya Etihad lebih murah. Ni kira murah utk hotel2 yg relatively baru di Dubai. Tapi sebenarnya kat Dubai ni, ada je hotel baru yg dibuka tiap2 bulan jadi sekarang mungkin ada lebih banyak pilihan.